The Russian, back on the Paris clay having missed the last two tournaments due to a doping ban, was swept aside 6-2 6-1 by Spanish third seed Muguruza. 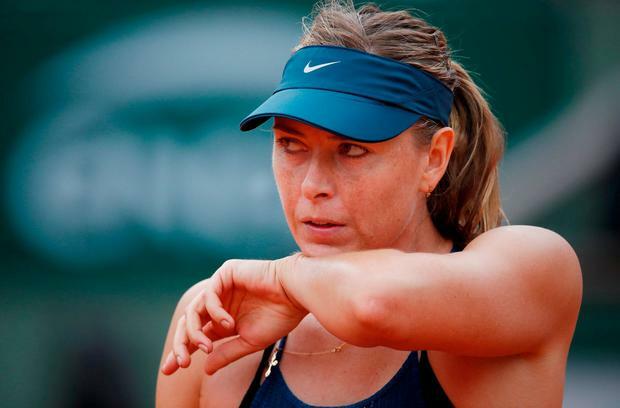 The two former Paris champions had not been inconvenienced by too much tennis over the past few days - Serena Williams pulled out of her clash with Sharapova while Muguruza's opponent Lesia Tsurenko lasted just two games before retiring hurt. And it was Sharapova who looked the rustier, with two limp service games handing Muguruza an immediate 4-0 lead and consequently the first set. Muguruza was punishing the former world number one's second serve and broke again at the start of the second set, and although this time Sharapova hit straight back. It was not enough, though, as Wimbledon champion Muguruza bulldozed her way through the rest of the set to secure her place in the semi-finals.